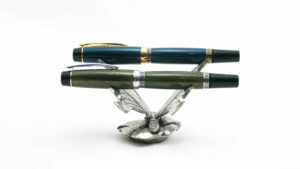 The German manufacturer, Pelikan, isn’t generally known for its high-concept limited edition fountain pens. For its production line, they have a design style and they stick with it, only incorporating new materials into their existing design to give the line a boost from time to time. (E.g., the Brown Tortoise M800 or the Burnt Orange M800). 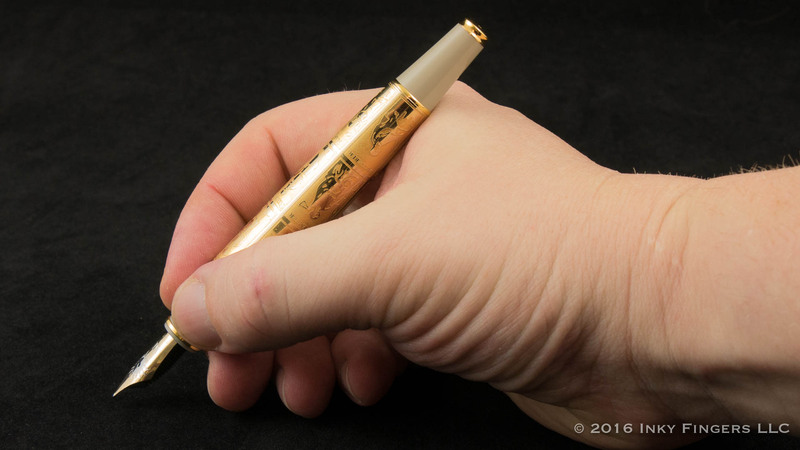 Though they are not common (especially in the United States) though, Pelikan also creates flashy, high-concept limited editions that appear in their catalog. 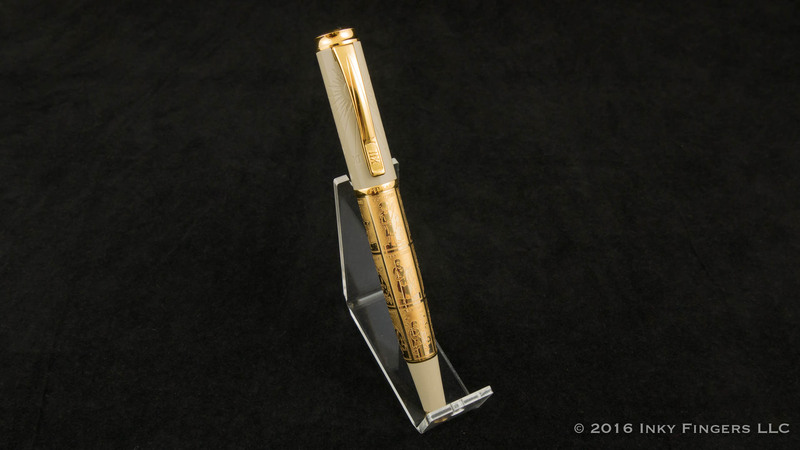 In 2008 Pelikan created a limited edition pen that is far more redolent of those created by Montblanc or Visconti, called the Calculation of Times. 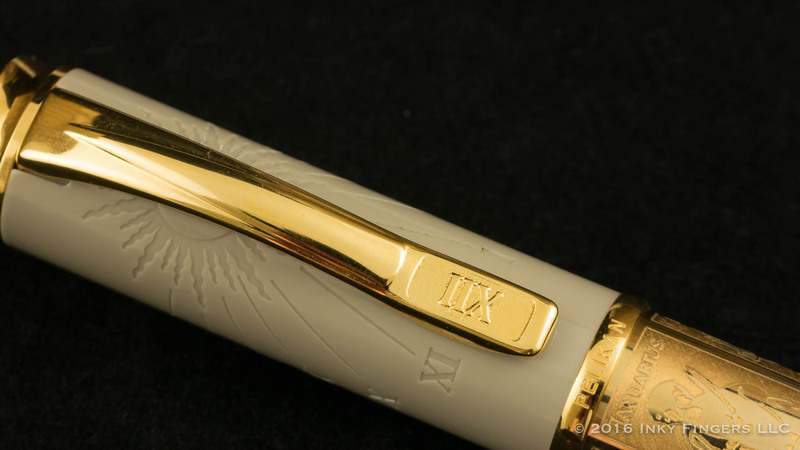 The Pelikan Calculation of Times was a limited edition run of 760 pens–a number that is supposed to represent the advent of the Christian calendar, which started 760 years after the founding of Rome with the birth of Christ. 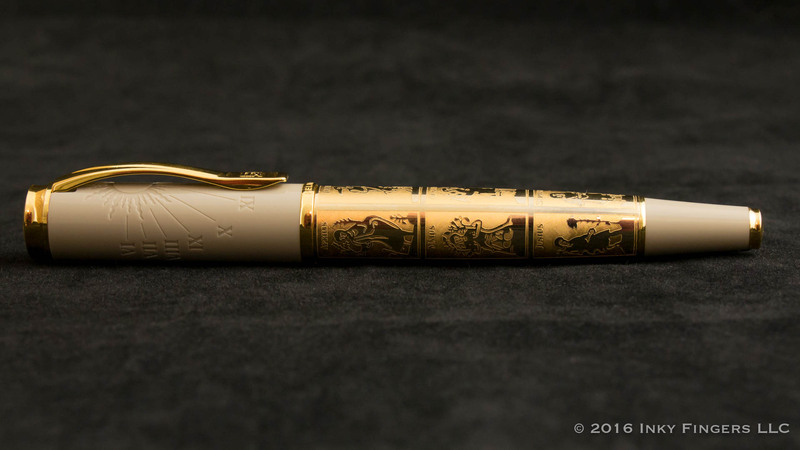 The pen is intended to tell the story of how many has attempted to define the passage of time. 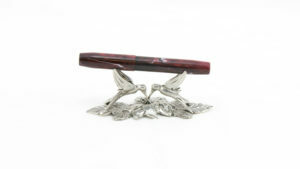 The pen comes in a truly mammoth, taupe-colored presentation box with the Pelikan logo and the pen’s name, that is almost comical in relationship to the pen itself. Opening the lid reveals a wide expanse of leather (or faux leather) marred only by a slight depression into which the pen rests. 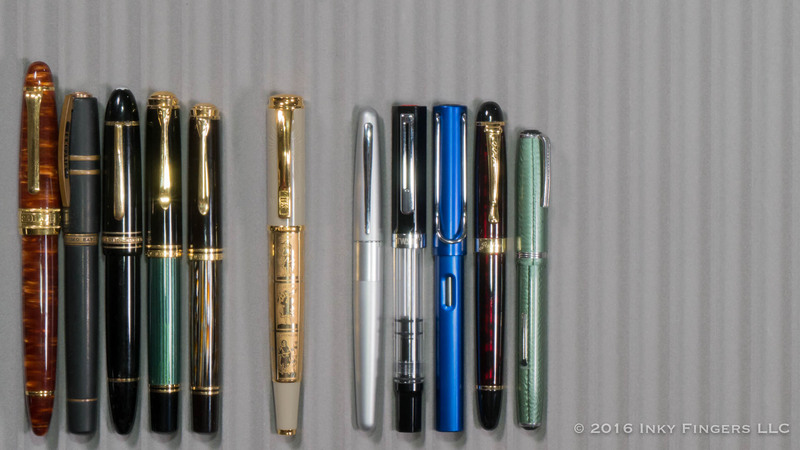 The pen itself is so far outside of the standard Pelikan aesthetic, you almost wouldn’t be able to identify it as being a Pelikan if you didn’t know the manufacturer ahead of time. The Calculation of Time’s design is blatant and, to my eye, lacks a bit of grace. 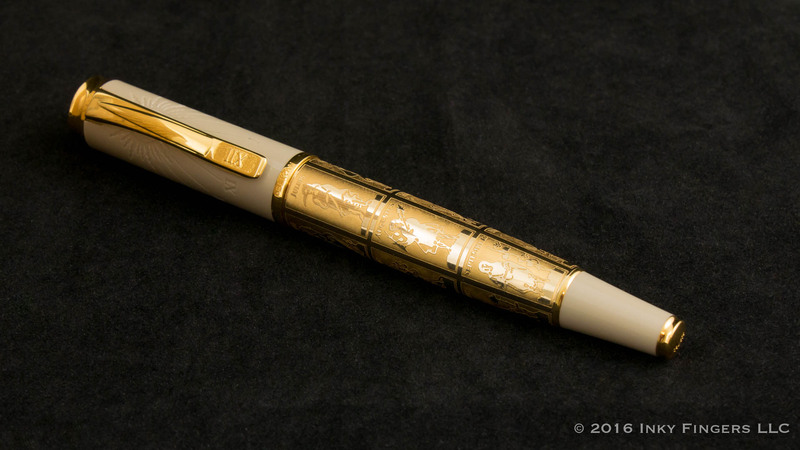 A giant combination of putty-colored resin and lots of gold-colored accents, the Calculation of Times is a heavy showpiece of a pen which grabs attention…but maybe not always in the best way. 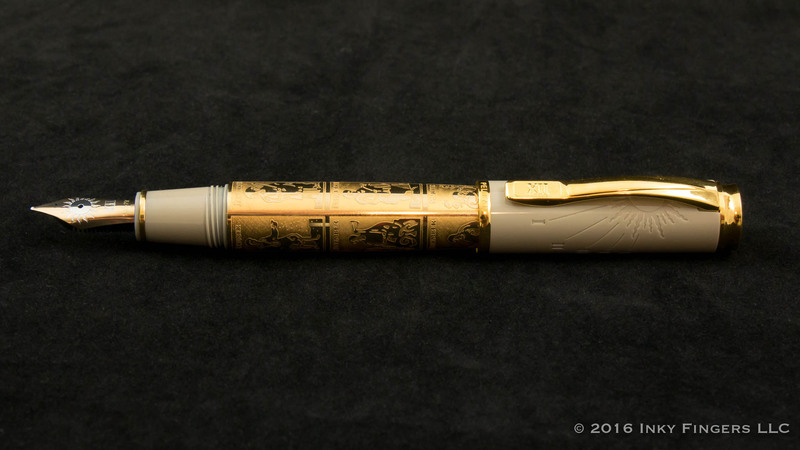 The pen’s design starts at the top with a gold-colored finial. 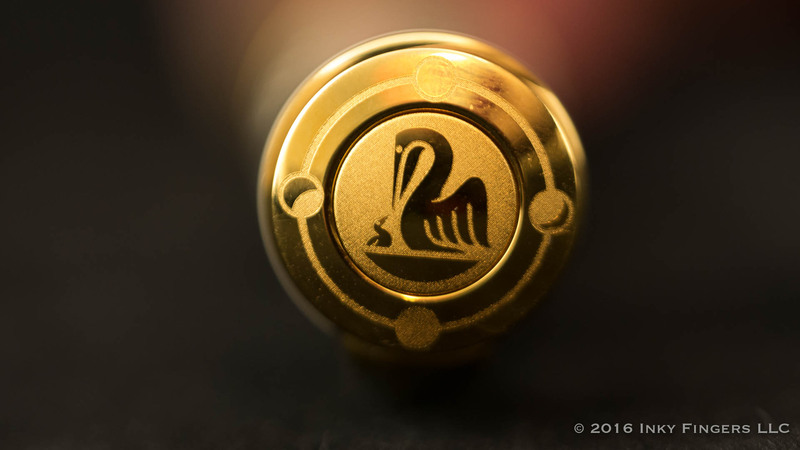 The top of the finial features a laser-etched design which features the Pelikan logo in the center, and around the outside, shows the phases of the moon’s cycle. The side of the finial is slightly concave, and the finial holds on a large, flat, gold-plated clip. The cap is made of an opaque (and, in my opinion, really bland) taupe resin. The side of the barrel is engraved with the design of a stylized sun and sundial, into which Pelikan has cleverly integrated the clip, where the end of the clip serves as the position for high noon in the sundial. 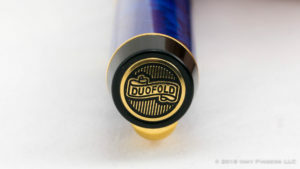 The cap is then terminated with a thin cap band onto which the Pelikan name is engraved. 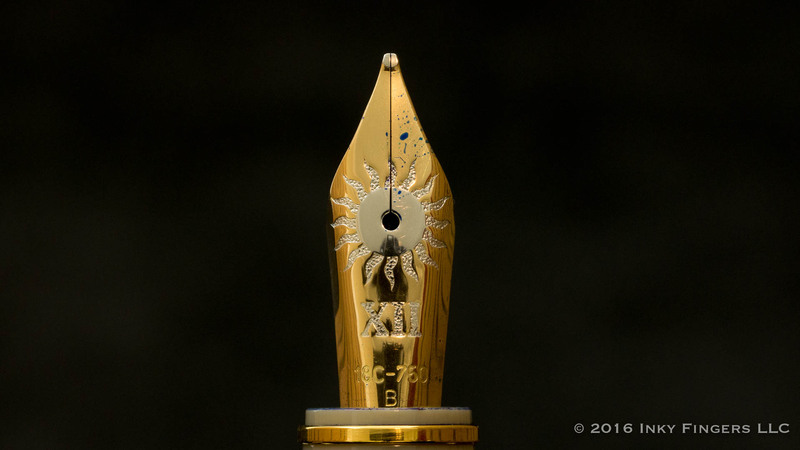 The barrel of the pen takes the builder’s beige of the cap and turns it completely on its head. 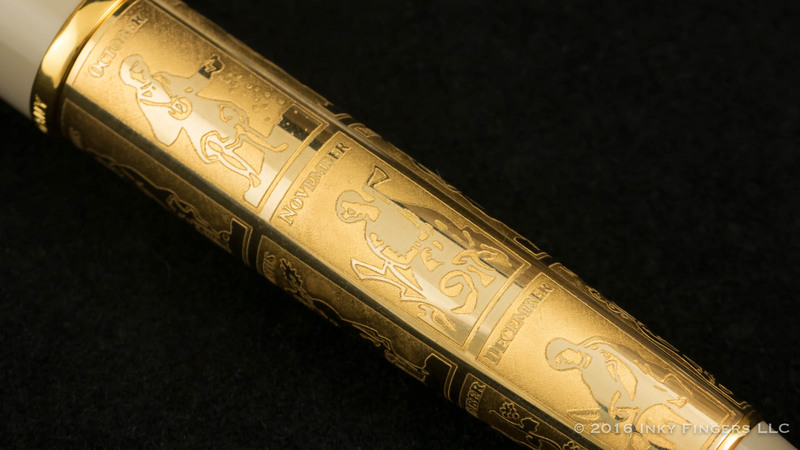 Almost the entire barrel of the pen is a gold-plated/filled metal collar onto which is engraved a depiction of a monthly calendar from the middle ages. 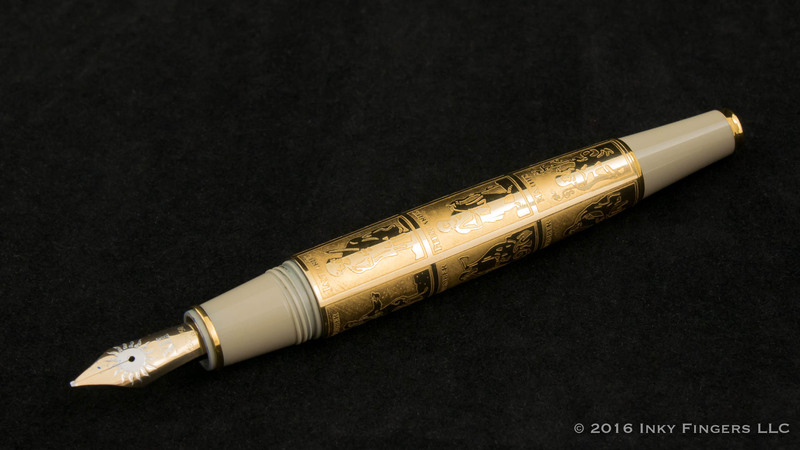 While the most interesting part of the pen from a visual standpoint, combined with the taupe of the cap, it is an unusual look. 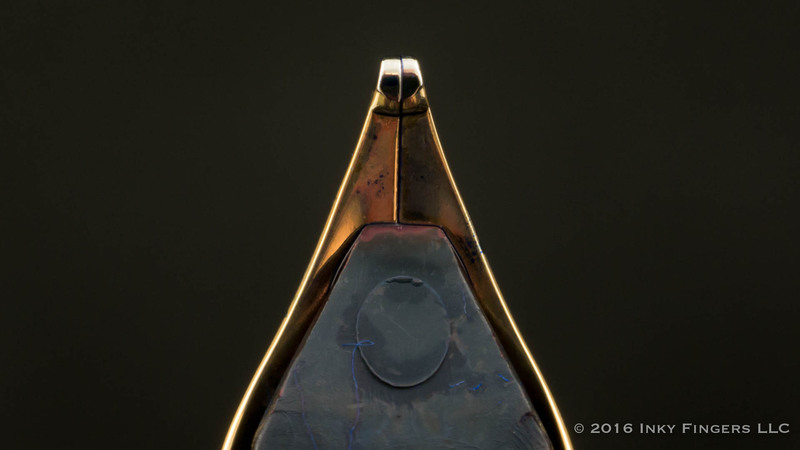 The metal collar is also extremely heavy and has a bit of an impact on the pen’s balance. 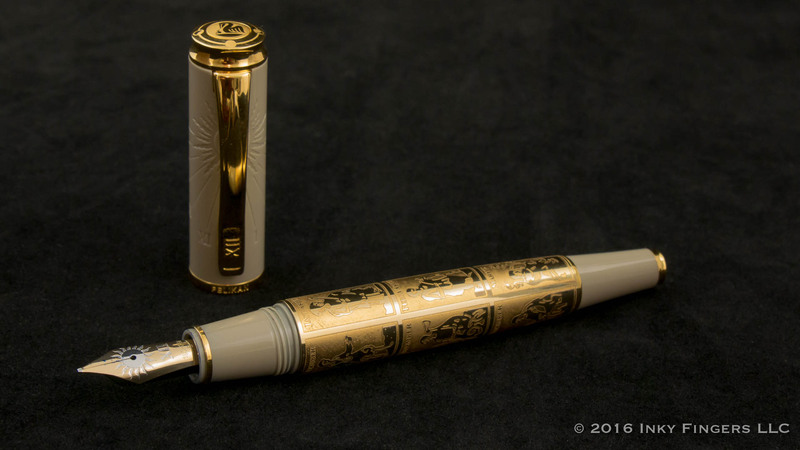 The barrel of the pen is finished off with a tapered, taupe-colored piston knob accented by a small gold-colored finial onto which is engraved the limited edition number. Like all of Pelikan’s piston-filled pens, the piston operation is so beautifully made and tuned that it hardly feels like anything is happening when you turn the knob. Pelikan makes some of the best piston filling mechanisms in the business, and the mechanism in the Calculation of Times is no exception. 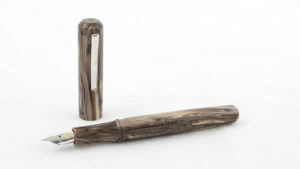 The cap unscrews from the barrel of the pen on extremely smooth, tight threads. 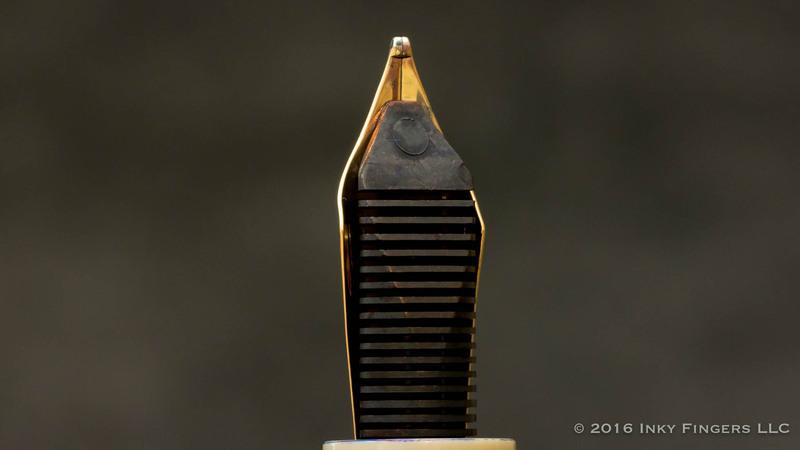 Under the cap is a short, tapered section and a beautifully engraved nib. The 18k gold nib is in the more traditional nib shape (compared to the nibs you see on their more traditional M-series pens). This may be one of those nibs that was made by Bock, rather than being made in-house, although there is not explicit information I could track down one way or the other. 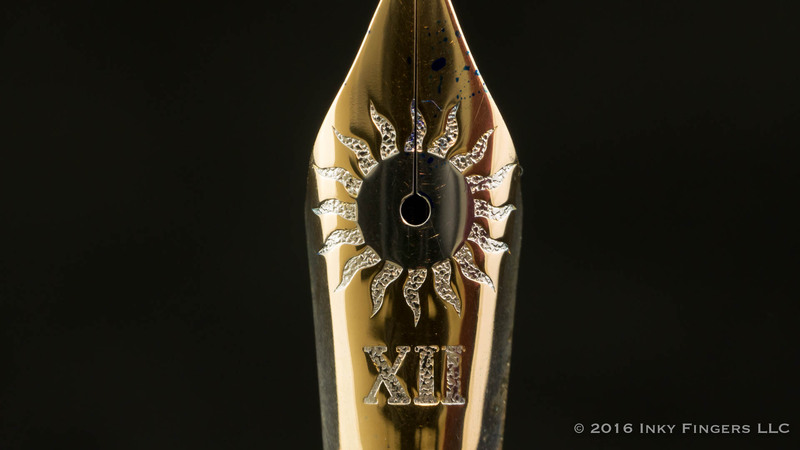 The face of the nib has been engraved with a stylized sun logo and the XII roman numerals, and those engraved sections have been plated with rhodium or some other silver-colored metal. 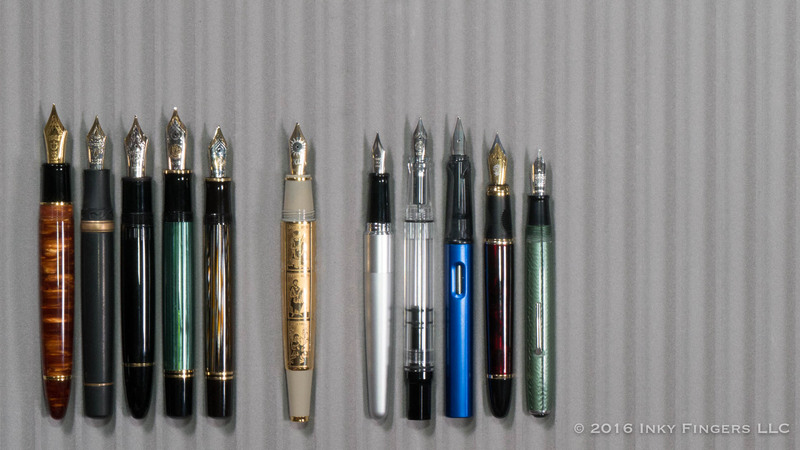 The nib itself, a broad nib, is a very Pelikan-like broad. It’s wider than any other broad I’ve ever used and was ground in such a way to basically be a stub (around 1.0mm in width, if I were to guess.) The nib is incredibly smooth, slightly bouncy, and moderately wet. It’s very nicely tuned and writes consistently and well. In the hand, the pen’s weight starts to become a bit much, even for me. I enjoy a heavy pen, but having the majority of the pen’s weight sitting in the middle of the barrel rather than toward the nib, throws the balance off. The pen can be posted, but it increases the pen’s weight and throws the balance off even further. 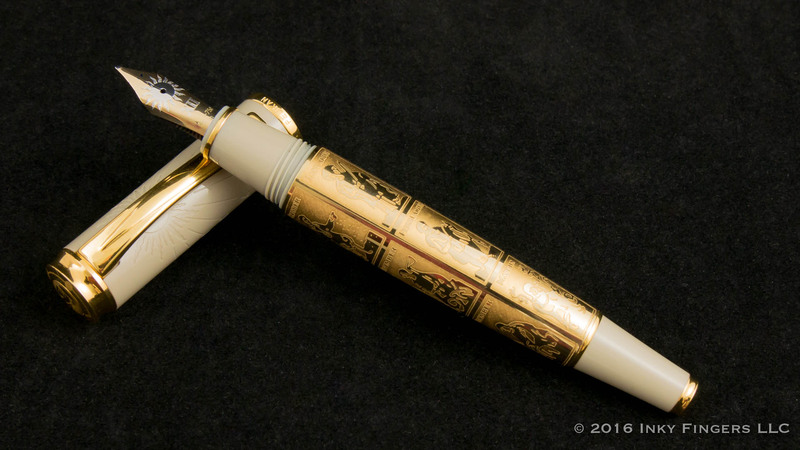 All in all, I appreciate Pelikan’s attempt to create a themed, limited edition pen. But for me, the disparate elements of the pen just don’t work together from an aesthetic standpoint. It feels a little awkward, as though this is a pen that was made to be displayed, not used. (And we all know how I feel about pens you don’t intend to use…) And I just don’t understand why anyone would use putty-colored resin for a pen. It reminds me of every builder’s beige remodel I’ve ever seen. Combined with so much gold, though, it feels a little too over-the-top. It’s an odd combination. That being said, I showed this pen around at our most recently Seattle-ish Pen Posse meetup, and several folks really loved the design, so while it doesn’t really speak to me, it does speak to some people. Regardless of whether or not you like the design, there’s no arguing that this is a very well-built pen that writes nicely. The weight and balance of the pen isn’t great for my hand, but everything else about the pen is very well-made. As this limited edition pen has been out of production for nearly nine years, finding these on the primary market is pretty difficult. 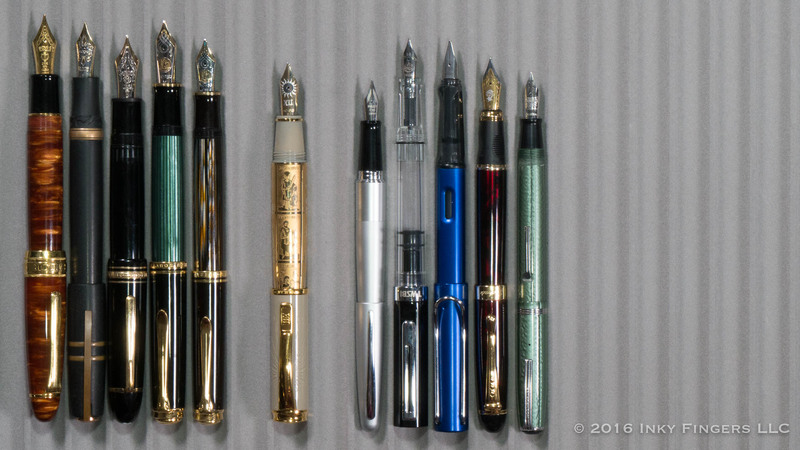 Most of the time, you’d have to find these from the secondhand market or a pen show. I was able to find one of these for sale on Amazon, at a staggering $1,700 price. 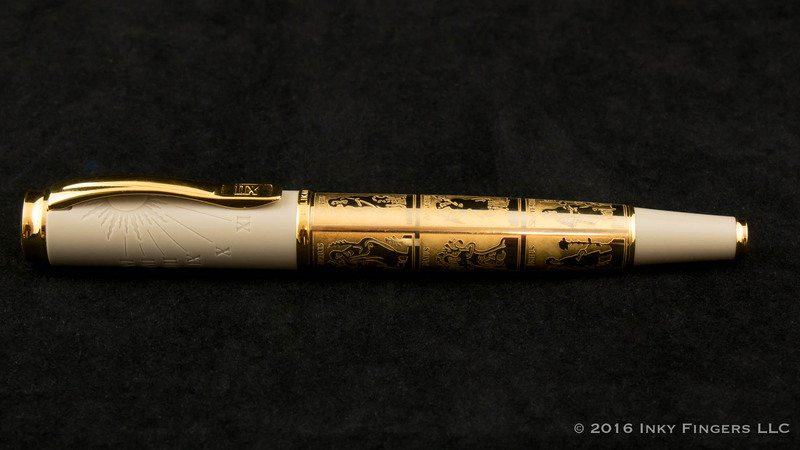 Since the design isn’t really up my alley and I don’t find the pen super comfortable to use for long sessions, that price would be more than I would be willing to spend for the pen. The pen was loaned to me by Pen Habit viewer James, and will been returned to him already. All opinions expressed herein are my own.